Pay Per Click SEO (PPC) is an Internet advertising model used on websites by which advertisers pay their host only when their ad is clicked. With search engines, advertisers typically bid on keyword phrases relevant to their target market. 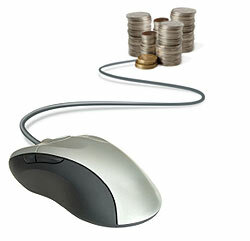 Content sites commonly charge a fixed price per click rather than use a bidding system. Cost per click (CPC) is the amount of money an advertiser pays search engines and other Internet publishers for a single click on its advertisement that brings a visitor to its website. In contrast to the generalized portal, which seeks to drive a high volume of traffic to one site, PPC implements the so-called affiliate model, that provides purchase opportunities wherever people may be surfing. It does this by offering financial incentives (in the form of a percentage of revenue) to affiliated partner sites. The affiliates provide purchase-point click-through to the merchant. It is a pay-for-performance model: If an affiliate does not generate sales, it represents no cost to the merchant. Variations include banner exchange, pay-per-click and revenue sharing programs. Through available tools such as Google Analytics and Adwords we determine what keywords best describe your business along with likely used search terms that internet users are frequently using to find products and services you provide. We implement a PPC campaign to immediately put your Muskoka Graphics website in the public eye. 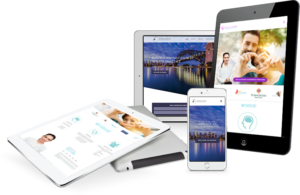 We then use a specific, custom Muskoka Graphics program to organically increase your website in the major search engines list in order to further increase traffic to your business.